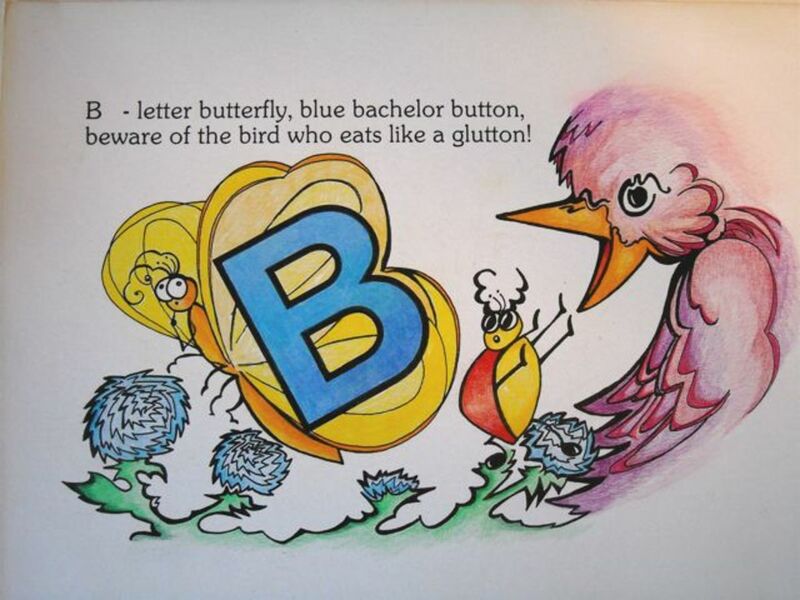 It was almost 30 years ago that the script of an alphabet book popped into my head-- most of it came to me over a period of a couple of days. I began scribbling down the verses and drawing up some cartoonish sketches to go with each letter. 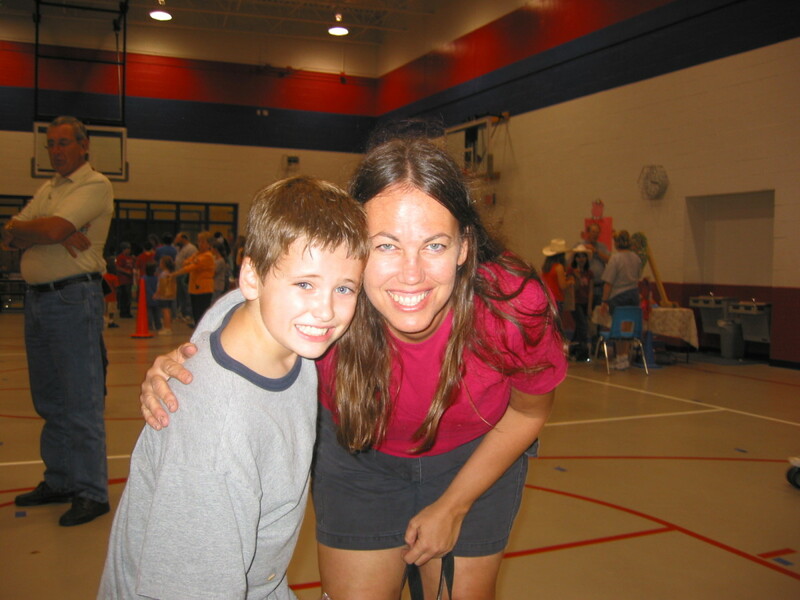 I was volunteering as a kindergarten teacher's assistant at the time, so alphabets, initial letter sounds, rhyme and alliteration were surrounding my thoughts each day as we worked to acquaint five-year-olds with the keys to reading skills. 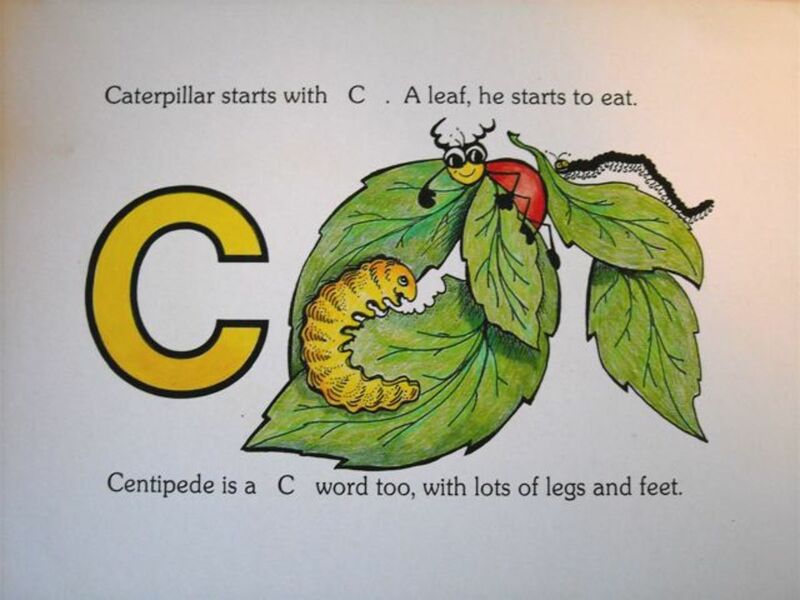 There have been tons of alphabet books published over the years. The world probably didn't need another one, especially since they have sort of gone out of style, but somehow it seemed that I needed to get this on paper. Polishing off the verses, making sure they fit some kind of meter and rhythm, seemed to work fairly easily. The longer process was getting the artwork to . . . well , . . work. I wanted it to be colorful, bold and fun. I wanted it to show other basic learning concepts. 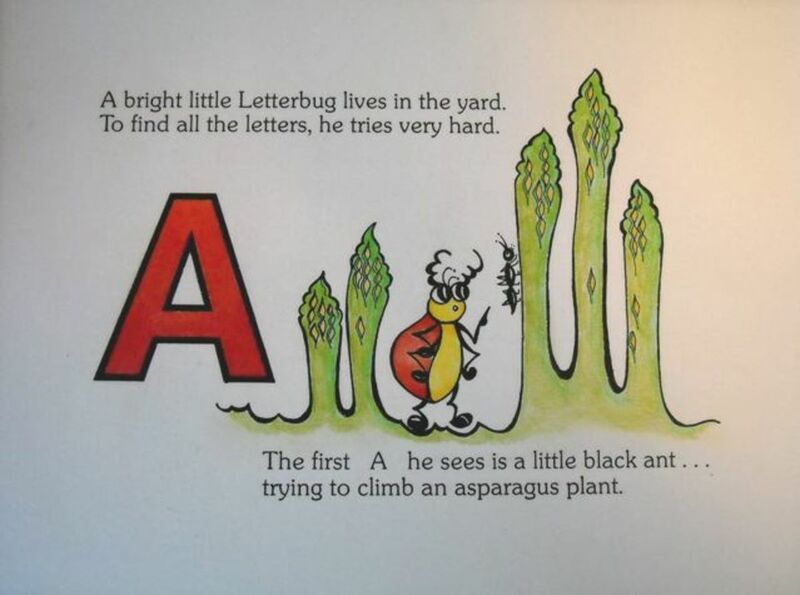 "Letterbug is a friendly, observant creature who enjoys his adventures of discovery. 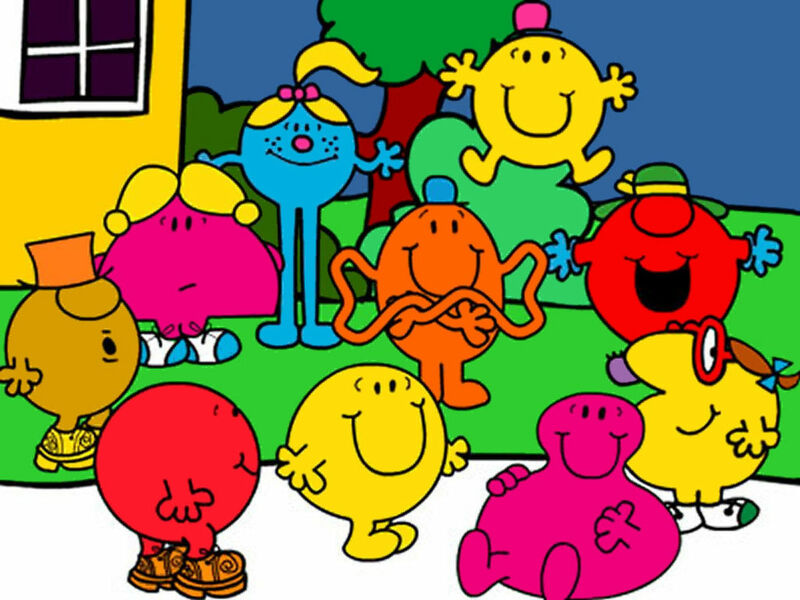 His experiences may introduce or reinforce such concepts as : initial sounds, alliteration, rhyme and rhythm-- as well as a sense of color awareness and spatial relationships (under, by, over past up, down)." Additionally, I hoped children would enjoy it just because it is fun. So where did the bug come from? The fact is, the bug is probably me. I wasn't too sure I liked the nickname, but thought it might disappear if I did not seem annoyed. It didn't dissapear, so I began signing my name with a teeny cute cartoony bug beside it to make my "Roach" something cute rather than a disgusting, creepy pest. I had a feeling that this might just be good enough to publish. So I began to send it to publishers to see if anyone who didn't know me would like it. I got a copy of Writers Market-- the one specifically for selling to publishers for children, and began studying the possibilities. If you are searching for a publisher, Writers Market publishes a list in book form each year. You need the updated version because the publishers, their requirements, their editors and other marketing information. Should I send to the big guys who get a ton of slush every day? Should I send to a smaller publisher in hopes that they might not be so overwhelmed with other peoples trash submissions? Should I send simultaneous submssions? I made up a few copies of the script, a few "dummy books" with copied artwork and a few samples of original art and packed them all carefully with return envelopes an SASE's , and then began the mailing process. Any of you who have tried cold-selling unsolicited manuscripts or art work know it takes a painfully long time to get any response. Painful weeks, painful months . . . and then you get a painful printed form card with a standard non-personal rejection slip attached. All of them include the phrase "does not meet our editorial needs at this time". 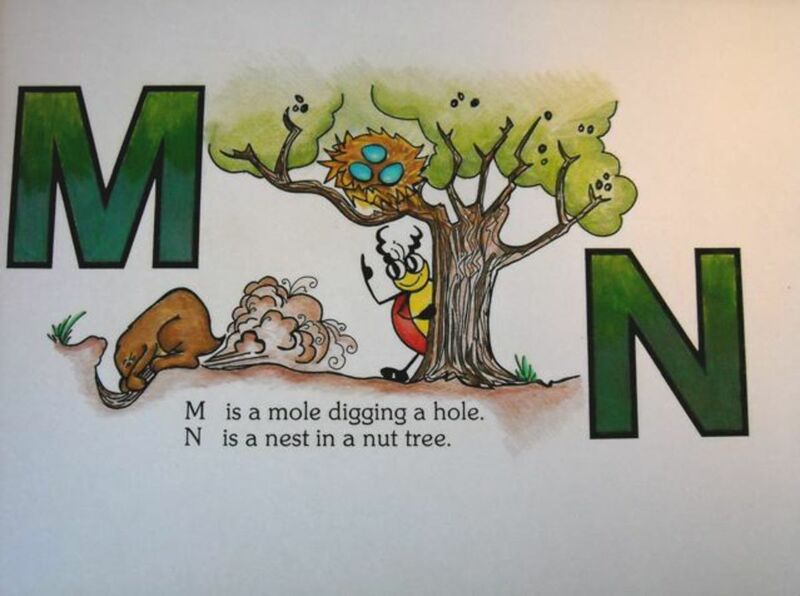 "M is a mole, digging a hole. N is a Nest in a nut tree." I got back a bunch of those over a period of about two years. THEN I got a nice personalized two page letter from a very large prestigious publisher (everyone would recognize the name) which explained in fairly good detail why they liked it and thought it was educationally sound. They used phrases like, "attractive original art" and "worthy of consideration for publication". They also said they had several alphabet instructional materials and didn't think it would be "fair to their published authors or you to undertake another piece of work in this particular field". At that point I wasn't thinking about "fair? who cares". I could accept "unfair", if that's what it took. They gave additional details about why they could not accept it. They were currently into producing series of educational books of a certain format and system, which this" did not quite fit". They also thought it might need a few additional pages, but that could be handled with some reviews, or educational exercises. But they did wish me well, and it was, at least a big step UP from the usual formula rejection card. OK-- so even with an almost positive response, perhaps the timing was not right. I put the book away. Over the years I would pull it out to sharpen up some of the layouts and graphics. All of the time I had a feeling that it still might happen years and years later, in fact I felt sure of it. So if any of you know an agent or publisher who might be interested, have them contact me, I will send the art and manuscript in a bug's blink. My owl book. This one was self-published. Available on Amazon. Marketing and producing your own book is difficult and expensive, but if you can get it listed on Amazon, you at least get some credibility. After about ten years I'm still selling a few. Amazon takes a big cut, but at least they make it easy to ship. You print packing slips and mail labels online when they request more books. I greatly appreciate your comment, Fossillady. We need to encourage one another. Haven't heard of the children's Kindles. What an interesting development. Thanks. I appreciate the encouragement. No, not yet, but that might be a possibility. Since it is aimed at a very young audience, I'm not sure the web is the place for it. I'm willing to try the agent/publisher route once more. I will keep your suggestion in mind. Have you thought of converting the book to another format, like a website? Just wondering. Thank you Linda, I have a feeling it will take a while. In the meantime "wee ones" tend to grow up. 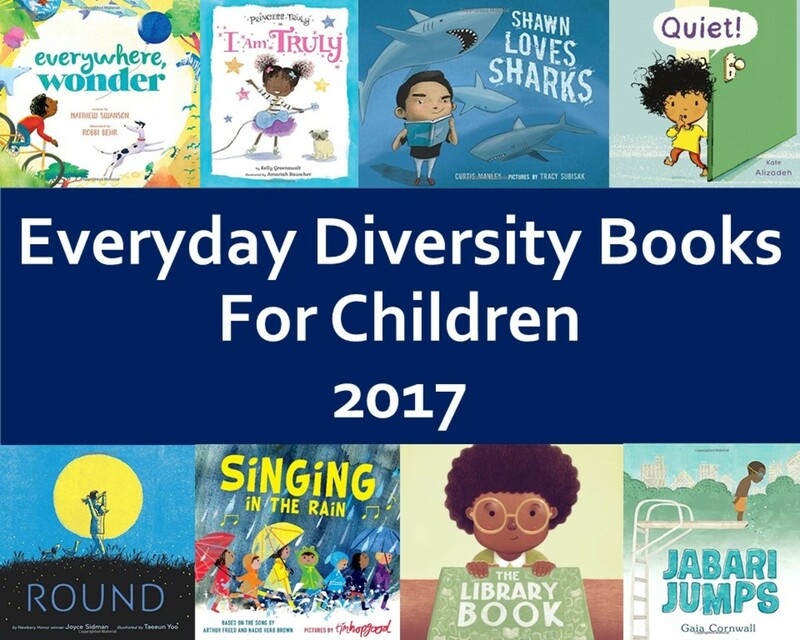 I can't wait to read this to the wee ones in my life. Thanks for the encouragement. Yes, I need to give it another shot. The examples are gorgeous! 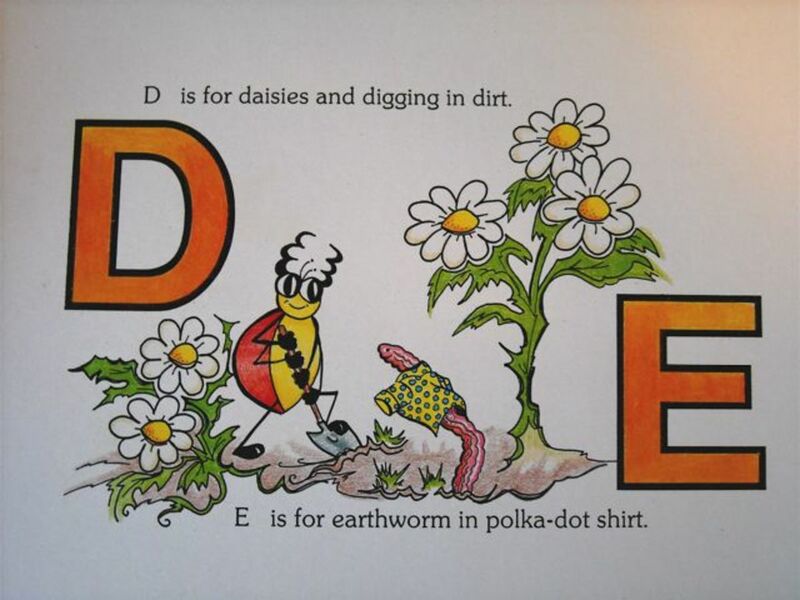 This is just the type of alphabet book that my boys would have loved! We never did find anything at the stores/libraries that they liked... and they learned in other mom-made ways! Keep trying. I remember the trying times when my mother submitted writings and waited for responses. I am certain that someone will see the brilliance and need for your creative Letterbug! If you're a realitor, you know it's all about "Location, location, location." If you're a writer, it's "Timing, timing, timing." Keep at it, your persistence will pay off. 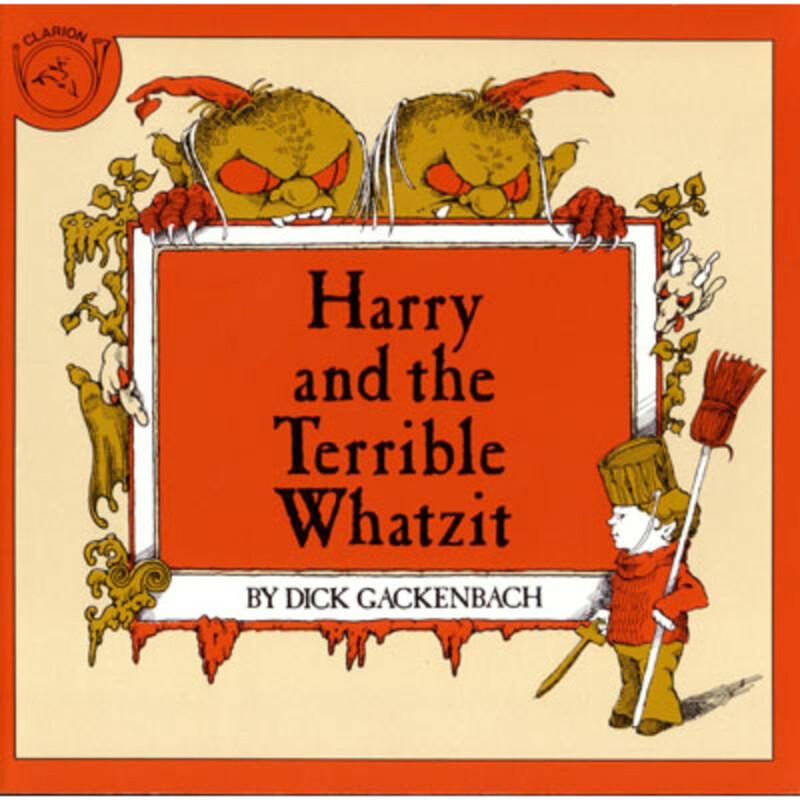 This is an adorable book w/ wonderful illustrations. Best of luck! Well, if that's the conditions for the loan, you'll have it most of the time. Thanks, Shades. Can I borrow your brain when you are not using it? Rochelle, your artwork is awesome. I had no idea you were gifted in that realm too. You are amazing! Yes, send it out! (Famous last words, I'm terrible about sending stuff out too. I get one turned down two or three times and I start procrastinating getting the Writers Market out again to find the next one.) And for what it's worth, that letter was great. You should count that an honor. That doesn't happen that much. I mean, yeah, it's like that "second prize in a beauty contest" card in Monopoly, but it's better than a kick in the teeth. Stick with it. Beats looking back someday thinking, "I bet I coulda published that if just tried just a little harder." There's always a reason not to send it out, so just tell your brain to shut up and let your hands put it in the mail. That's kind of the process I went through years ago. I may try again-- all those old editors are retired by now, or expired. Thanks for the encouragement. I may have agreed with you that there's probably no need for another alphabet book, but then I saw your delighful illustrations. They're gorgeous! Do a bit of market research to see who's publishing these type of titles, and send it off one at a time. Don't worry about rejection! Save those slips for later because it'll be a sweet victory when it is finally accepted! And give yourself a goal. Lets say you find 10 suitable publishers, if by the tenth you don't get a favourable response then look into Print On Demand through Cafepress.com or a similar service. Also check out Gather.com, it's a little bit like HubPages, but there are a LOT of writers there who are published authors. It will happen Rochelle. (Sorry, it's been a long time since I read your profile page). I have already self-published one book (as noted on my profile page) and it's a lot of work. This one, however, is camera-ready with text and all. Yes, there are othr ways. Still thinking, after all these years. I had mixed feelings about the response-- but , yes, it was mixed with nice. Good luck with this project -- it looks great: the artwork is lovely. Isn't it nice when someone actually takes the time to respond wth encouragement? It takes all the sting out of that anonymous "no." You never know, Rochelle, what publishers (many of whom are Satan's spawn, incidentally) are going to like at any given moment. Keep sending it out every few months. Someone will bite.